On the occasion of the 25th anniversary, the Aquarium is renewed to confirm its leadership as the largest and most spectacular aquarium in Italy and Europe. 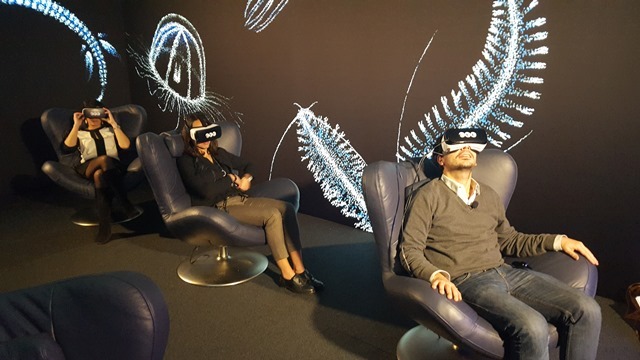 Also new is the virtual journey into the abyss, to meet the species that inhabit the sea, realized thanks to augmented reality viewers and armchair Natuzzi equipped with audio system. 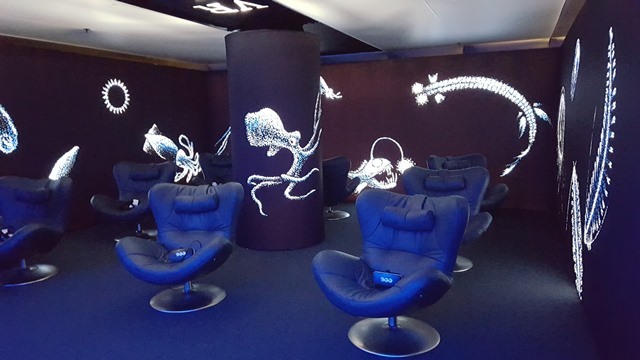 In the new VR Abyss Hall – one of the first permanent installations of virtual reality in Italy – visitors can make a journey into the depths of the sea thanks to VR application and implementation of an immersive 360 ​​° movie. This is possible by wearing the augmented reality viewers and seating on the comfortable Sound, the Natuzzi armchair with integrated sound system in the headrest. “With this collaboration Natuzzi Italia confirms its mission to support those projects sharing the brand’s core values. In the new project with the Aquario di Genova I found a great creativity combined with innovation and technological research, issues that have always characterized the Natuzzi brand DNA“, said Pasquale Jr Natuzzi, Communication & Creative Director.